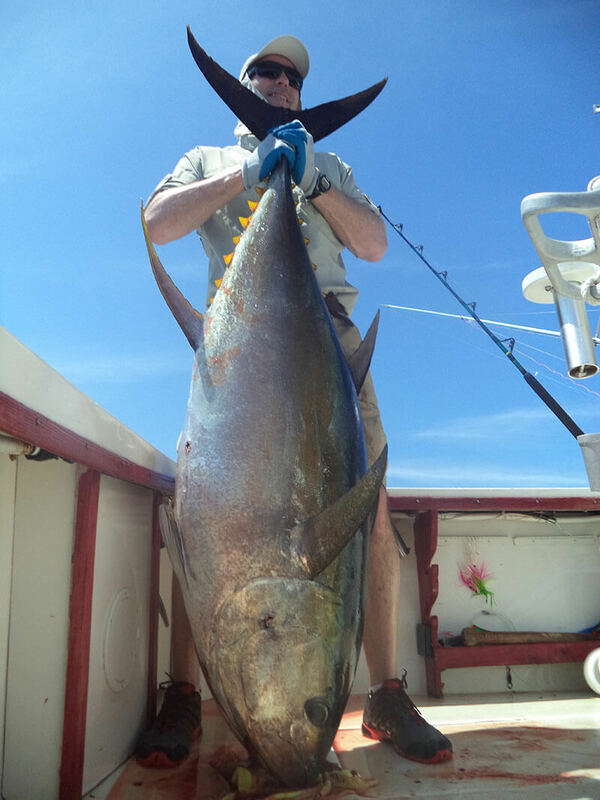 Yellowfin tuna arrived in huge numbers during March, with many hitting the scales at 150 to 200lb (as pictured). Marlin are still being seen on a daily basis, but have proved reluctant to bite and so have been very difficult to catch. Regular visitor Ron Rocheleau caught a potentially record-breaking 45lb mullet snapper just off of Isla Montusa. 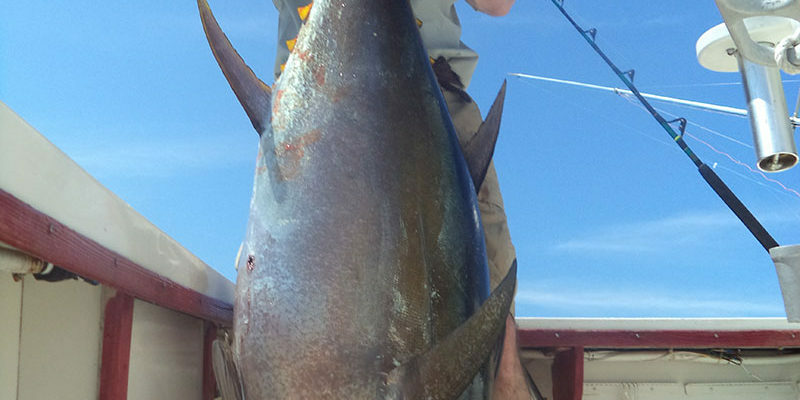 The current IGFA world record stands at 33lb, so this fish was a real monster. Fishing for roosterfish and cubera snapper has remained very good, with Isla Secas and the surrounding area proving to be the hotspot. April and May should see more and more tuna arriving, with huge yellowfin to 400lb showing up in May and June (when the BlueWater team arrives).